Natural instinct from a lifetime of working with livestock makes better bullfighters. “I’ve been helping with the rodeo bulls raised by my dad and contracted for rodeos and bull riding contests ever since before I started school,” verified Ethan McDonald at Abilene. “Because my dad had been a rough stock rider in three events, and I saw how dangerous the bulls we raised were on the cowboys trying to ride them, I really never did have the urge to be a rodeo contestant,” McDonald added. However, the all-around athlete while growing up felt a calling to be involved in rodeo from a different perspective by helping prevent injury to cowboys once they’re dismounted from rank rodeo bucking bulls. Unlike bucking horse and other rodeo events, bull riding contestants are in danger from the time they nod for the chute gate until the bull is penned outside the arena. “A lot can happen when the cowboys are mounted on the bull, but there is even considerably more danger after they get on the ground, whether from being thrown or dismounting by personal choice. That’s when I go to work,” McDonald clarified. “The only way a cowboy can get to safety is on foot, and most generally the bull is going to step on him, hook him, hit him, chase him or run over him. I attempt to prevent serious harm to the cowboy in all of those situations,” McDonald emphasized. Reflecting to his beginning, McDonald was born in Colorado and lived there several years as his dad, John, helped in televising bull ridings, and hauling bulls to competitions over a wide area. “We moved back to Kansas when I was in the second grade, and my folks John and Mary McDonald developed a bucking bull breeding program. They had up to 60 bucking bred cows, had production sales, sold bulls and contracted and subcontracted bulls to rodeos and bull ridings,” McDonald said. “I have always been involved in feeding and handling the bucking bulls. So, I really do understand more about their natural instincts than somebody who’s never been around livestock that much. Some rodeo bullfighters might have more athletic ability, but they don’t have the knowledge of how livestock thinks and acts under different situations. “My lifetime experience working with livestock is a real advantage to me,” McDonald contended. Successfully competing in several sports during high school, McDonald received a football scholarship to play football at Dodge City Community College. “They have a good rodeo team there, and I did begin doing a little team roping for the fun of it. Then, my sophomore year I started helping protect the cowboys during their bull riding practice. It just came naturally to me what to do,” said McDonald. 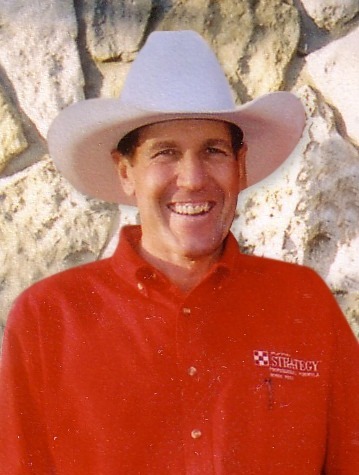 He transferred to Fort Hays State University, where Bronc Rumford was the rodeo team coach, and Rumford encouraged McDonald to perfect his bullfighting and work at rodeos. Early on success for the then 19-year-old college student-turned-bullfighter soon had other college rodeo committees contacting him, then amateur rodeos throughout the Midwest. Now 25, McDonald has been carded by the Professional Rodeo Cowboys Association (PRCA), Professional Bull Riders (PBR), and other organizations for several years, working as the bullfighter at more than 100 performances of rodeo and bull riding competitions throughout the country. “I just worked the professional rodeo at San Angelo, Texas, one of the largest winter rodeos. I have rodeos booked every weekend now through the end of September,” said McDonald, who sometimes flies to the rodeos, or even will ride with other cowboys. “However, I drive to a lot of them myself. My dad developed the Rawhide Portable Corral system 14 years ago, and I work with him and my mom in that successful manufacturing business. We sell the corrals all over the United States, and I often deliver them when I’m going to a rodeo or a bull riding event,” McDonald related. Natural instinct from a lifetime of working with livestock gives Ethan McDonald of Abilene an advantage in his profession as a bullfighter saving cowboys from danger when they dismount from rank bucking bulls. Admitting that bullfighting is a very dangerous profession, McDonald said, “My first concern is making sure the cowboy is safe from the bull, and I’ve been fortunate that I’ve never been seriously injured myself. Oh, I’ve taken hits, and been bruised up, but no broken bones or anything too bad. “The Pro Rodeo Sports Medicine Team is real good about helping with even the slightest wounds, providing personal attention, bandages, wraps, and the like,” credited McDonald, who does wear a knee brace for added protection from a past high school athletics injury. One might suspect a tedious rigorous calisthenics program essential for one with such a body- and-mind-demanding profession, like rodeo bullfighting, but that’s not the case for six-foot-one, 195-pound McDonald. While freestyle bullfighting was a sanctioned competition at pro rodeos for several years, and there are still such events at certain southwestern rodeos, McDonald has never entered those contests. Rodeo tradition expects a clown in grease paint and buggy jeans, so bullfighter McDonald has that getup when working a rodeo. “It’s what the crowd expects at a rodeo, but I don’t ever tell any jokes, or stories. I’m not a funnyman, yet I am glad to help the other funnymen-clowns with their acts during a rodeo. However, when I’m working a PBR or similar bull riding event, I typically just wear shorts and cleats, without any makeup,” he said. Having seen considerable change in rodeo during his relatively short lifetime, McDonald is optimistic for both the sport of rodeo and bull riding. “There is more added money, and more divisions for all levels of competition, so I only see more contestants and larger crowds,” he predicted. Serving as bullfighter at state high school finals, many college rodeos, the Kansas Professional Rodeo Finals, the United Bucking Bulls Inc., Don Gay Bull Riding Finals, and top professional rodeos, McDonald’s bullfighting contract schedule books up well in advance and is already filling for the next several years. “I have been surrounded by rodeo, bull riding, and bucking bulls my entire life providing the opportunity for me to fine tune my bull fighting skills. I have been fighting bulls now for eight years, living it up and loving every minute of it,” McDonald summarized. Despite obvious risks of the profession, McDonald sees no slowdown in his work as a bullfighter. “I’ll do my best to protect the cowboys and myself. Some top bullfighters work into their 50s, and I see myself there with them,” he forecasted. “My first goal from here is to work the Circuit Finals, then see what goes from there,” McDonald looked to the future. An opportunity to view one of the top professional rodeo bullfighters in the country will be Thursday, Friday and Saturday nights, June 5-6-7, at the Flint Hills Rodeo in Strong City. “That’s cowboy country. I really enjoy that rodeo. Everything just feels so right in place. I hope to see everybody there, too,” McDonald welcomed.